Aventura is a community in South Florida with incredible residential property from luxurious homes to skyscraping condos. Condos and homes for sale in Aventura are located near Aventura mall, which is one of the most popular attractions in Miami consiting of several of popular stores, restaurants, and bars. Homes for sale in Aventura provides a luxurious lifetyle, while also offering a relax environment with a tropical landscape. JUST REDUCED! SELLER FINANCING AVAILABLE!LUXURY GATED SINGLE HOME COMMUNITY! THIS GORGEOUS AND IMPECCABLE LAKEFRONT HOME ON A QUIET CUL DE SACFEATURES 3 FUL SUITES, MARBLE FLOORS THROUGHOUT, A VERY SPACIOUS FLOOR PLAN . AND VERY TASTEFUL DECORATION! VERY LARGE ROOMS WITH MASTERBEDROOM OVERLOOKING LAKE AND LARGE WALK-IN CLOSET. NANNY'S QUARTER AND PLAY ROOM.AMAZING LOCATION CLOSE TO AVENTURA MALL, SCHOOLS, RESTAURANTS AND MUCH MORE!! BEAUTIFUL AND ELEGANT TWO STORY HOUSE. MAJOR REMODELING COMPLETED FEBRUARY 2019.VERY BRIGHT AND SPACIOUS, OPEN MODERN STATE OF THE ART KITCHEN. NEW FLOORS THROUGHOUT.TWO CAR GARAGE. AVENTURA LAKES COMMUNITY CLUBHOUSE AND AMAZING SWIMMING POOL. Beautiful house in Aventura Lakes, 3 bedrooms, 2 and a half bathrooms.Beautiful view of the canal from the master bedroom and the family room.The house has many upgrades as french doors, kitchen with granite counters, back splash, new appliances, accordion hurricane shutters, porcelain tile floors downstairs and laminate woodfloors upstairs.The house is also upgraded with lighting fixtures and ceiling fans.Extra large front yard and guest parallel parking.There is no homes across the street and the facing west backyard is shaded in the afternoon.WE ARE OFFERING A VERY SPECIAL EXTRA BONUS TO THE SHOWING-SALING AGENT. 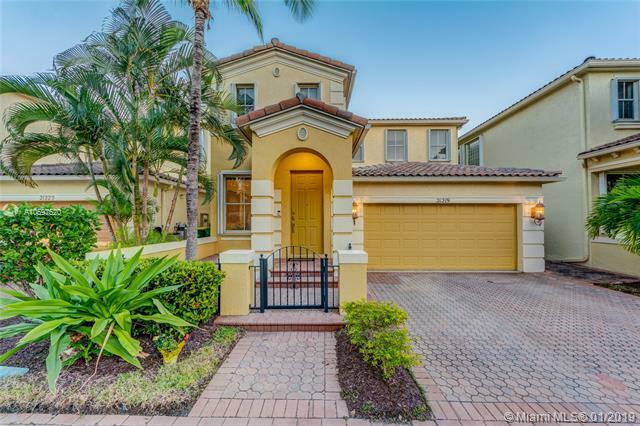 GATED COMMUNITY 'AVENTURA LAKES IN THE HEART OF AVENTURA. THIS SINGLE FAMILY FEATURES: TWO-STORY, MARBLE AND LAMINATE FLOORS, SS APPLIANCES, UP-DATED KITCHEN AND BATHROOM, PARKING FOR FOUR VEHICLES, FENCE PATIO, WATER FRONT, TWO BALCONIES IN A CUL-DE-SAC STREET. THE COMMUNITY OFFERS: CLUB HOUSE, 24 HOURS GUARD GATEHOUSE, RECREATIONAL CENTER WITH POOL, LARGE DECK, CHILDREN'S INDOOR AND OUTDOOR PLAY AREAS, TWO STORY FITNESS CENTER, PARTY ROOMS WITH GUESS PARKING, FINANCIAL STABLE COMMUNITY... THE CITY IS A SHORT RIDE TO THE BEACH WITH WORLD CLASS SHOPS, RESTAURANTS, SCHOOLS, PARKS AND ENTERTAINMENT. EASY ACCESS TO MAJOR HIGHWAYS, 20 MNTS FROM FT. LAUDERDALE INTERNATIONAL, AND 30 MIA AIRPORT, DOWNTOWN MIAMI AND MIAMI BEACH. LOCATION!!! Remodeled turnkey waterfront home offering a combination of comfort, contemporary and luxury all in one. Rare find, a single fam home in Aventura. Large, 3 beds + office/bonus room, 2.5 baths. Features include, high ceilings, open layout, Custom eat-in kitchen with granite counters & lrg breakfast bar. Stainless steel appliances, 2 car garage. Accordion hurricane shutters thru-out. Built on a premium, corner lot with serene water views. Aventura lakes is a family, secure, gated community. Enjoy all of the amenities & resort lifestyle. Ready for new owners; just bring your belongings. Close to shops, restaurants, grocery, & mall. Close to beautiful beaches. A+ schools. Brand new charter high school opens 2019. Only home at this price with these finishes. Also available for rent. Country Club Estates Aventuras most exclusive single-family home gated community located on the Turnberry Golfcourse. Welcome to one of the largest lots in the community w/ 5 Bedrooms, 3 full bathrooms, 1 car garage & 3100+ SQFT of luxury. This immaculately maintained, second home features modern large white marble floors throughout downstairs, 20Ft ceilings, chefs eat-in kitchen, formal dining, formal living room & separate den with glass french doors out to the private oversized pool, BBQ area and large back yard. Additionally, the custom bright home boasts guest quarters on the first floor, oversized master and 3 additional guest bedrooms on the second level. Walking distance to Aventura Mall, Synagogues, parks & the famous Aventura City of Excellence Charter school. Welcome home! Amazing and spacious 3/2 with views of the ocean,golf course and bay from every room.3 balconies, W/D in unit,best location near Aventura mall and more ! new cabinets being installed in kitchen and bathrooms .24/7 security ,amenities. 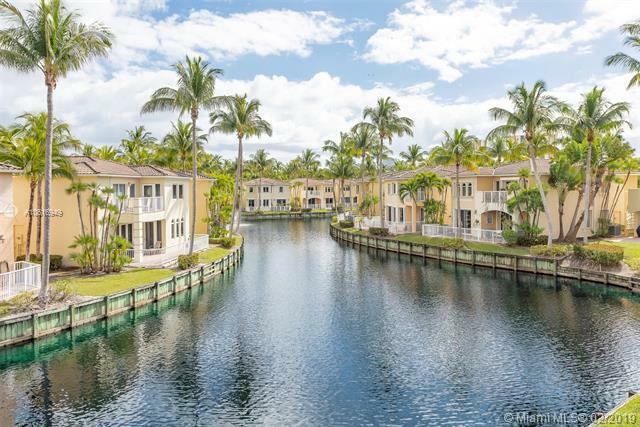 Exquisite canalfront townhouse in serene gated community located at the tip of Waterways harbor. 4 Bedroom/3Bath Watch sunrise and yachts pass by, enjoy the canal views from main floor, patio, and 2nd floor balcony. Custom-built kitchen with granite countertops and breakfast area, elevator. Fantastic 1.5 mile boardwalk round the harbor is only steps away to marina, shops, dining, worship, entertainment. The Point of Aventurao world class spa membership is available for its residents.